FRIDAY, Jan 29th at Centennial Square. Bring a bag, lights & lock. We'll be screening the new MASH 2015 flick at the shop afterwards. 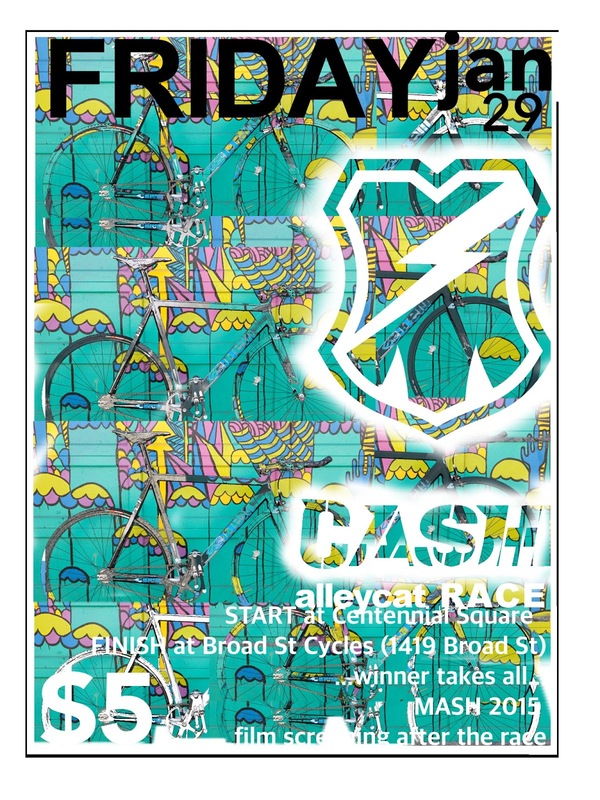 Prizing for 1st men, lady, fixed gear and DFL, courtesy of the #broadstreetjerks. Feel free to drop a bag with change of clothes/ hydration remedies at BSC before the race.